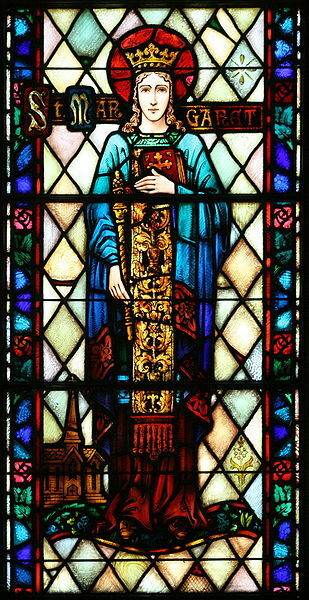 Brief Description of Subject: This arched window depicts St. Margaret of Scotland. 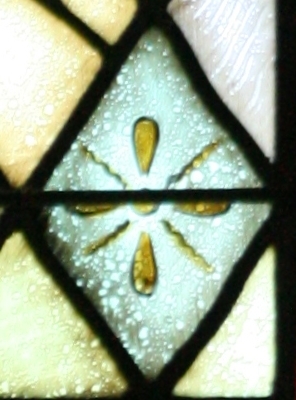 It is part of six nave windows. Along with the text “ St. Margarat, there is a church in the background. 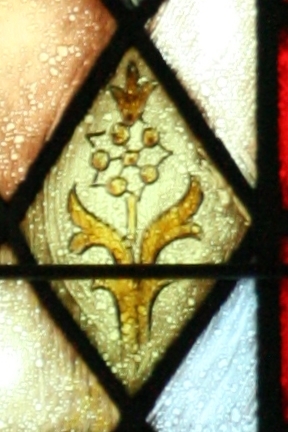 Opposite the church, there is a flower depicted in a pane of glass on the right side, near the bottom, and one near the top on the same side. There is a border of red flowers on a blue background. 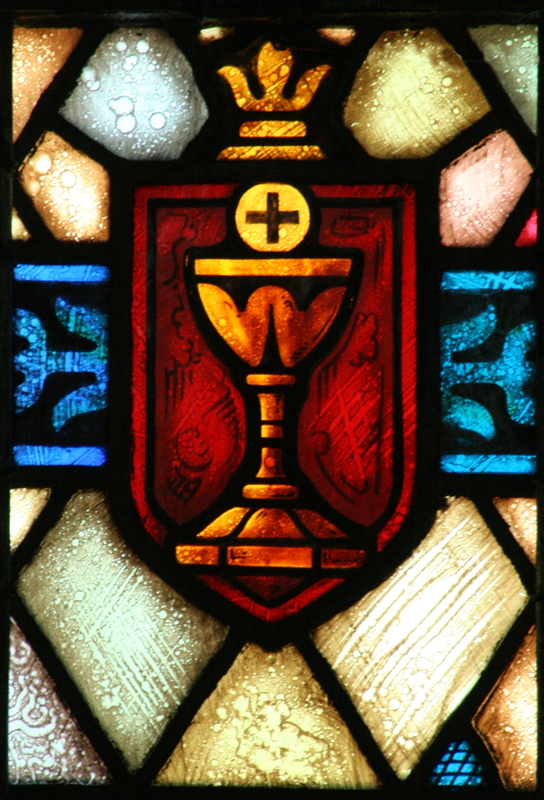 Underneath is a small medallion of a red shield with a gold Eucharist.